Browsing Photos from a Hard Disk from Amirali Ghasemi on Vimeo. Amirali Ghasemi tells the stories behind the photographs he took between 2002-2007 in this two-channel video performance. 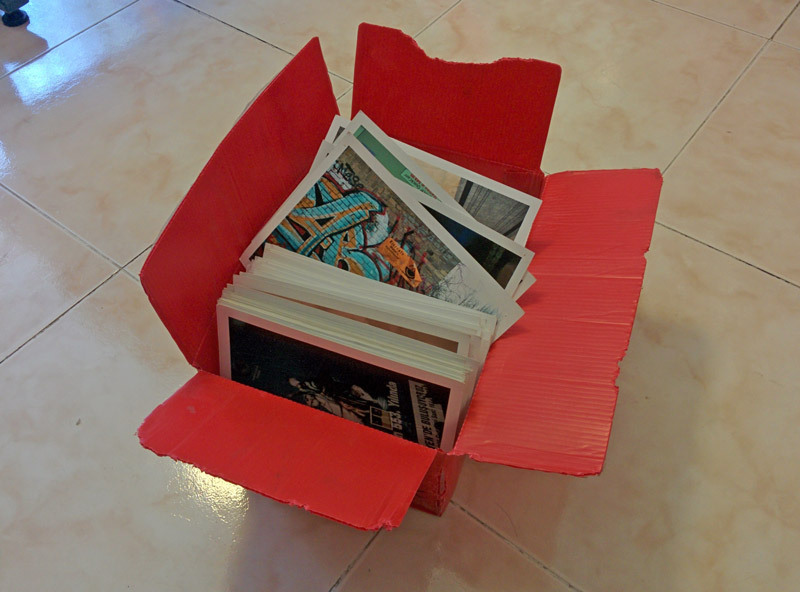 he selects these images from photos he had printed for an exhibition called “Amirali’s Hard Disk” he printed more than 2000 photographs each 18×13 cm to create a large photo installation covering the walls of Azad Gallery In Tehran. Each photo has a unique story looking at them more closely one can notice 4 small holes in each corner of the photographs caused by the pins he used to fix them on the walls. For the exhibition “The World Viewed”, Amirali Ghasemi tells the stories behind the photographs he took between 2002-2007, in a non-linear narrative performance. He selects images from a pile of photos which he had printed for an exhibition called “Amirali’s Hard Disk”. 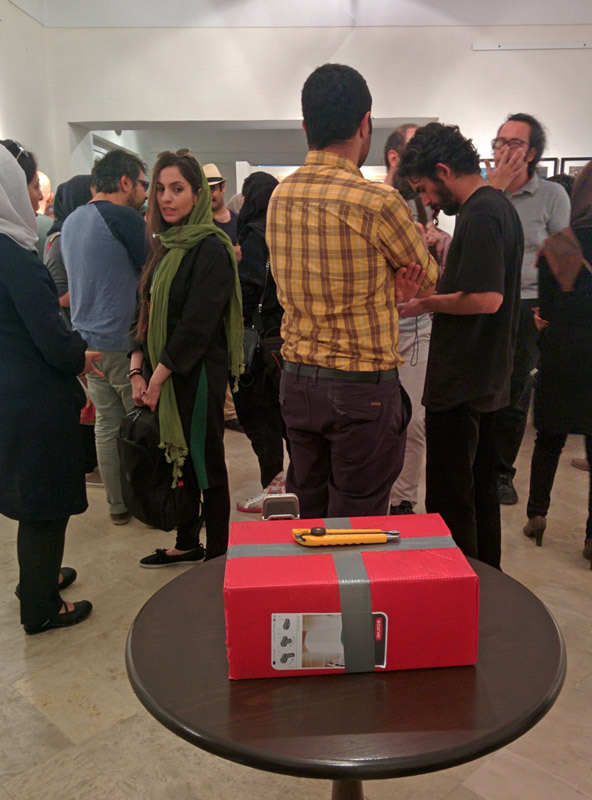 (Over 2000 photographs each sized 18×13 cm, creating a large photo installation covering the large walls of Azad Gallery In Tehran.) Each photo has a unique story, and references to collective and individual memories, by looking at them closely one can notice four small holes in each corner of the photographs caused by the pins Ghasemi used to fix them on the walls. Documentation of the performance after it happens on the opening night will be later visible of a digital frame while the photographs themselves are lying in an open box for visitors to see/browse through. The photos are for sale with an affordable price and will be later signed specifically for the buyers their name with a hint to the story.